For more than a decade, there have been concerns about radiological contamination at former Cold War-era naval bases in the San Francisco Bay area, and area residents are increasingly speaking out against the liberal California politicians who have done little, if anything, to fix it. IndyBay, a decidedly left-leaning independent media outlet in the Bay Area, reported on Friday that some residents of the Treasure Island area suspected of still being contaminated are accusing Democratic California Sen. Kamala Harris of obstructing justice and being involved in a cover-up of corruption with regard to the cleanup efforts. Two cancer-surviving residents in particular, Felita Sample and Andre Patterson, came forward and told IndyBay how they had contacted Harris — along Rep. Nancy Pelosi, now-California Governor Gavin Newsom, and other local and state-level politicians — of the still-dangerous levels of radiation and toxins in the area, which they blamed for their illnesses, to little avail. Sample claimed that Harris, while running for Senate, had promised her personally to address the situation once her campaign had successfully concluded. However, Sample noted that Harris has done nothing about the problem since then. California Senator Kamala Harris who is running for President of the United States was accused on 3/14/19 with obstruction of justice and involved in a corruption cover-up at the contaminated radioactive SF Treasure Island site by two former residents Felita Sample and Andre Patterson. At issue is the botched radiation clean-up effort at Cold War-era naval bases on Treasure Island and Hunters Point, which was long ago slated for redevelopment as a commercial and residential area. A report in January 2018 noted that the U.S. Navy had “lost confidence” in the data provided by the contractor assigned to clean up any radioactive and toxic contamination, Tetra Tech, and would be retesting all of the areas of the Hunter’s Point shipyard for contamination. That decision came after a yearlong review of radiation data compiled by Tetra Tech which revealed that roughly half of the data was likely to have been faked or fraudulent. This, after Tetra Tech had spent the previous 12 years allegedly cleaning up the designated Superfund site as part of a $250 million contract in federal funds. Now, all of the 900 acres of the former Navy yard must be rechecked for contamination before any further development in the area proceeds, a process that may delay the project by another decade. In 2012, Tetra Tech was been caught falsifying data from mishandled soil samples, which resulted in an investigation by the Nuclear Regulatory Commission. That investigation found that soil samples had been “deliberately falsified,” and the company was sent back in to clean the area again with retrained workers. However, several of those former workers came forward to allege that the company had botched the cleanup and engaged in widespread fraud to cover up the failure. That fraud allegedly included falsifying radiation data, as well as leaving contaminated samples in the ground and fraudulently using clean soil samples in its place to conceal the still-remaining toxic levels of radiation. Those whistleblowers helped compel the Navy to launch a full review and call for re-testing. However, Tetra Tech’s work at nearby Treasure Island hasn’t received the same level of review, the San Francisco Chronicle pointed out in a February report. Instead, city officials told the Chronicle that further review was “unnecessary” and have moved forward with development plans. Will Harris even be asked? 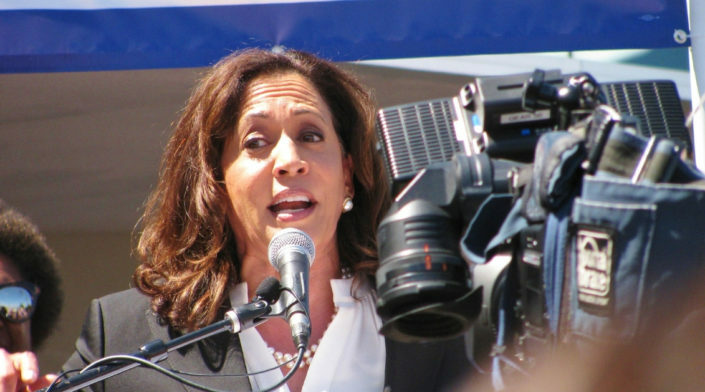 As for Sen. Harris, all of this occurred in her own political backyard, as she was first the San Francisco District Attorney and then the California Attorney General during this time. Democratic politicians like Harris — who with the help of a willing national media portray themselves as above reproach — are being called out by their own minority constituents for failing to address real concerns, such as a cover-up of a botched contamination clean up that may very well have resulted in local residents becoming ill. Will they respond? Ben Marquis is a staff writer for Conservative Institute.